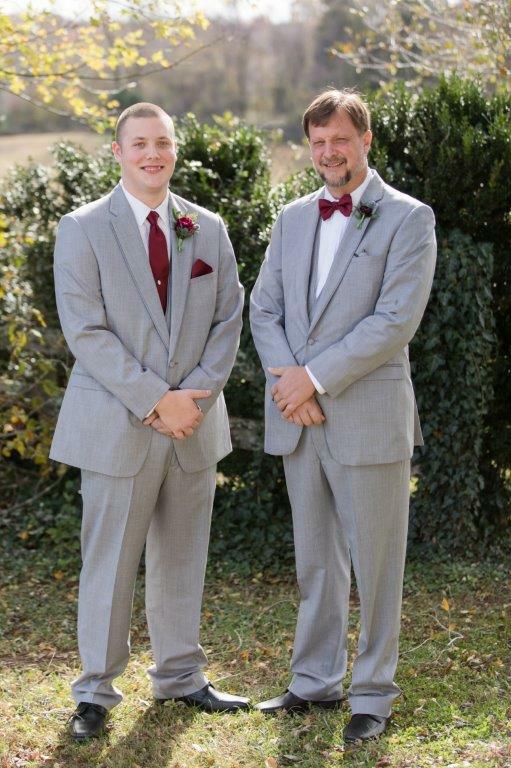 Today’s inspiration comes from our Publisher’s daughter’s wedding held on November 11, 2017 at Rixey Manor near Culpeper in Rixeyville overlooking the foothills of the Blue Ridge Mountains. 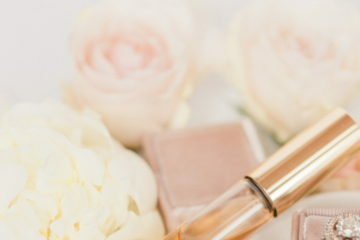 Of course when you are the daughter of Virginia Bride Magazine’s owner and publisher expect that the wedding is going to be a DREAM wedding! 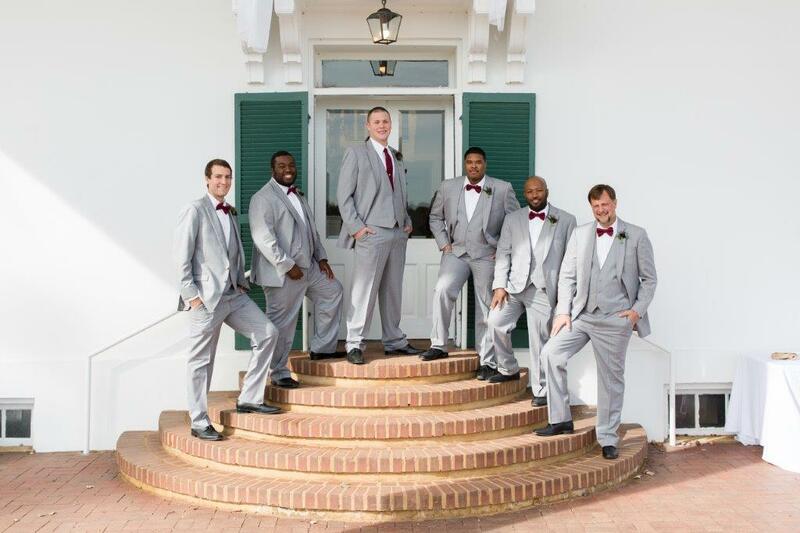 This is part 2 of a part 4 series, today we take you through a behind the scenes look at the groom and his bridal party as they get ready for the big day. Check back next week for the ceremony! 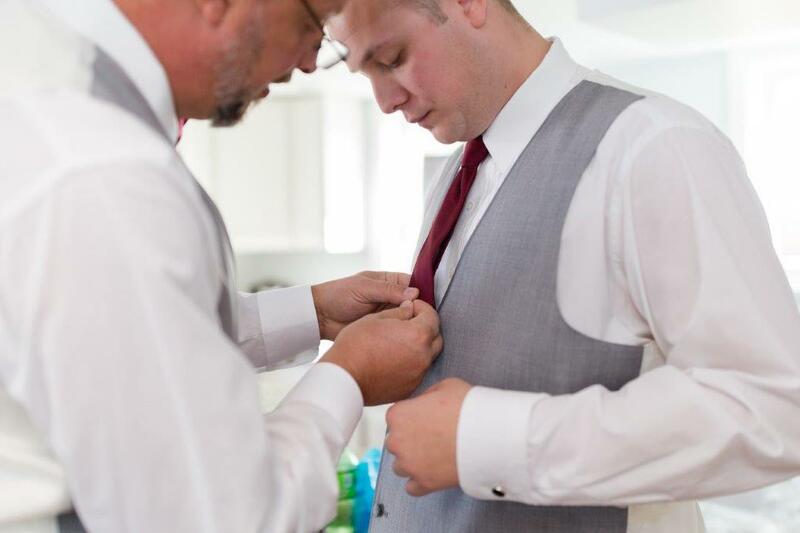 The below photographs show us how a great photography team can capture and stage those special moments that happen during the rush of the wedding day as everyone gets ready, a story really, of your wedding timeline. 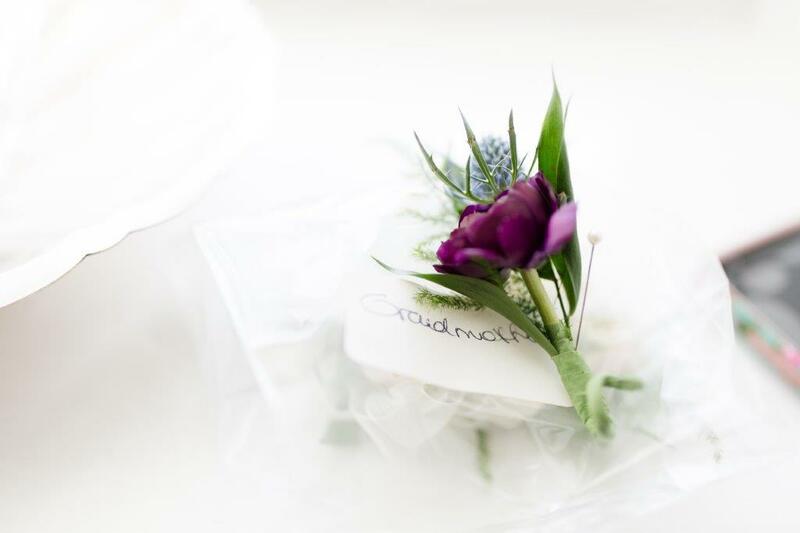 These are memories that you will want to capture in order to remember your day, as it goes by so fast! 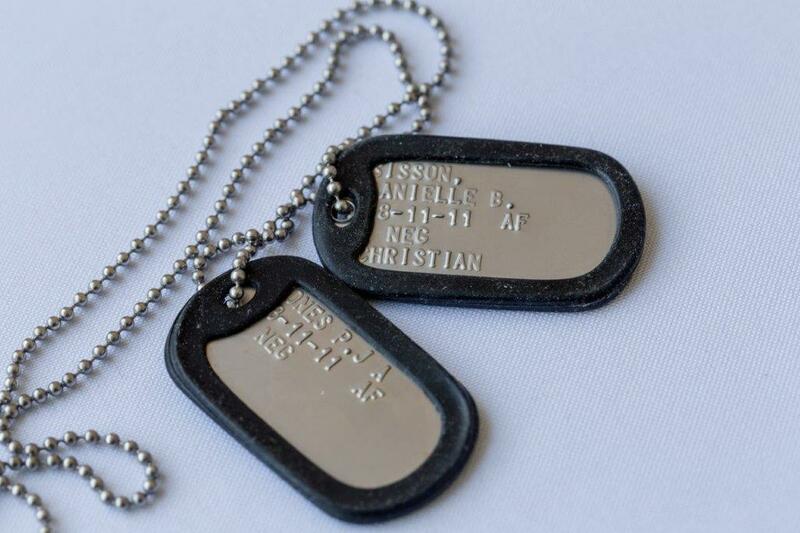 Dog tags, a gift from Danielle to PJ, when they started dating, worn by the groom during the ceremony. 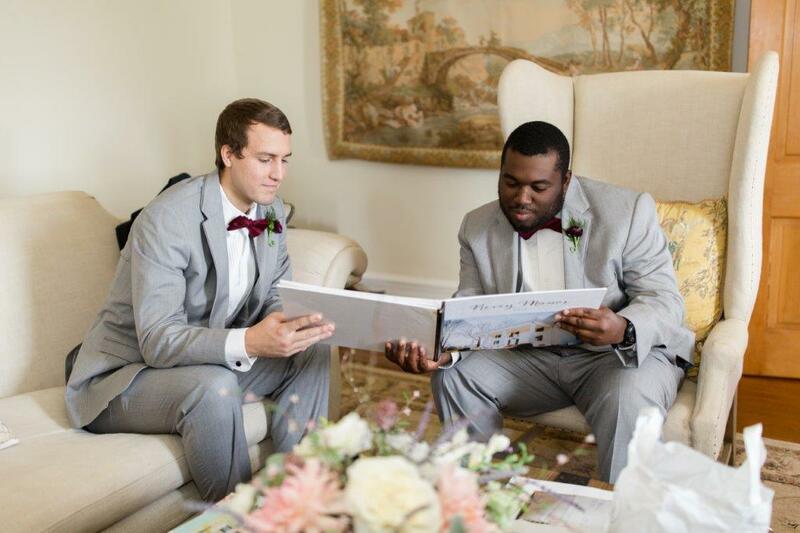 The wedding day was 11/11/17 which has significance, notice the date on the tags 8/11/11. 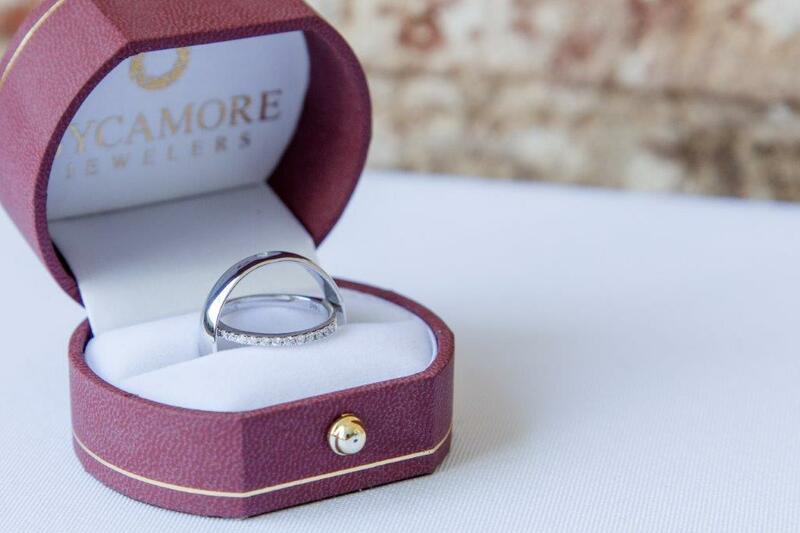 The Wedding Rings- purchased at Sycamore Jewelers. 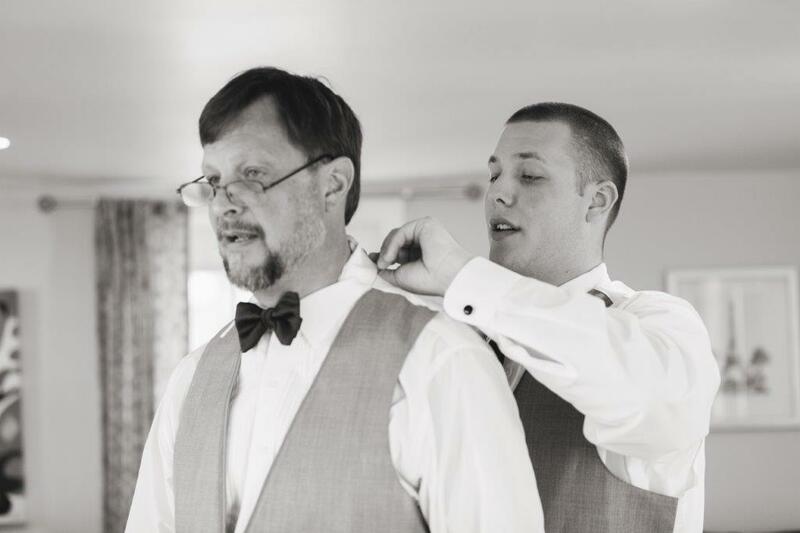 The Father of the groom and also best man, assists Paul ( PJ) with his tie. and PJ returns the favor by helping Dad. 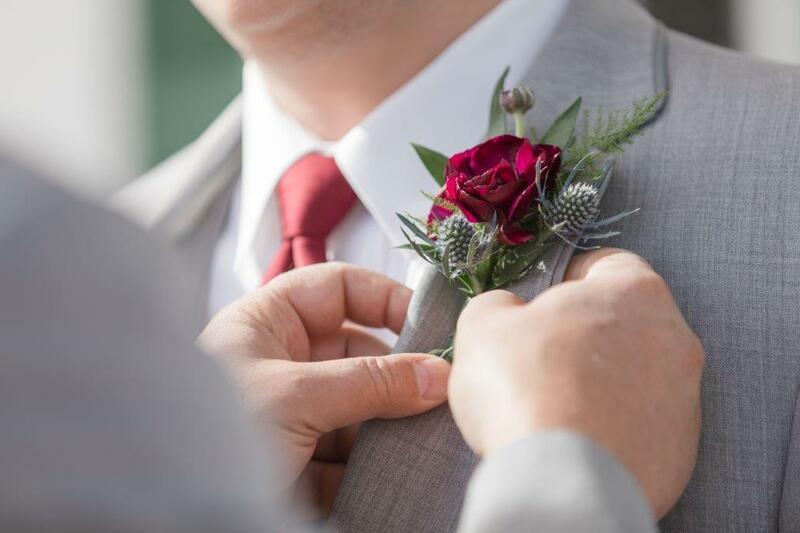 One of the groomsmen’s boutonnieres- by Vogue Flowers. 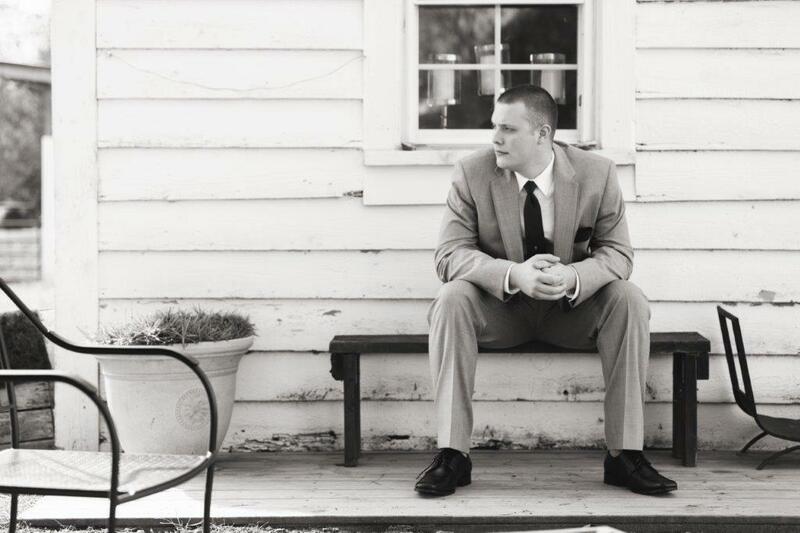 PJ reflects on the upcoming day. 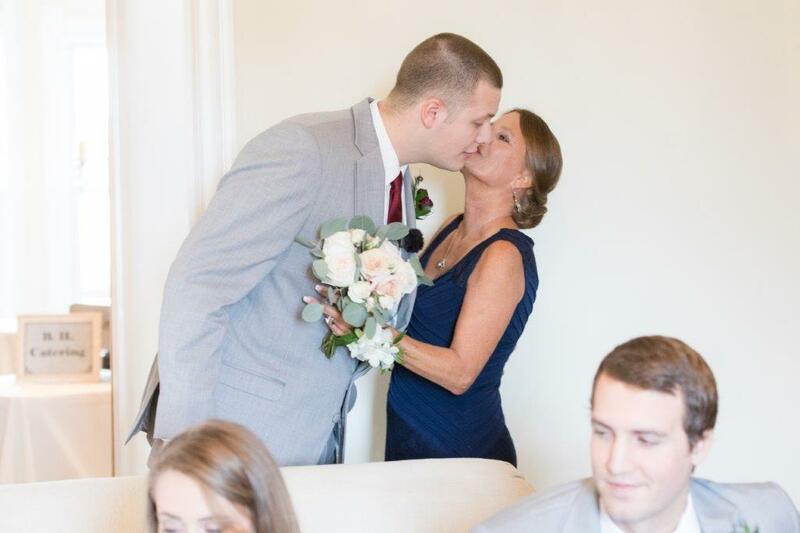 Mom and son share a kiss. Two of the groom’s party waiting for the day to begin. 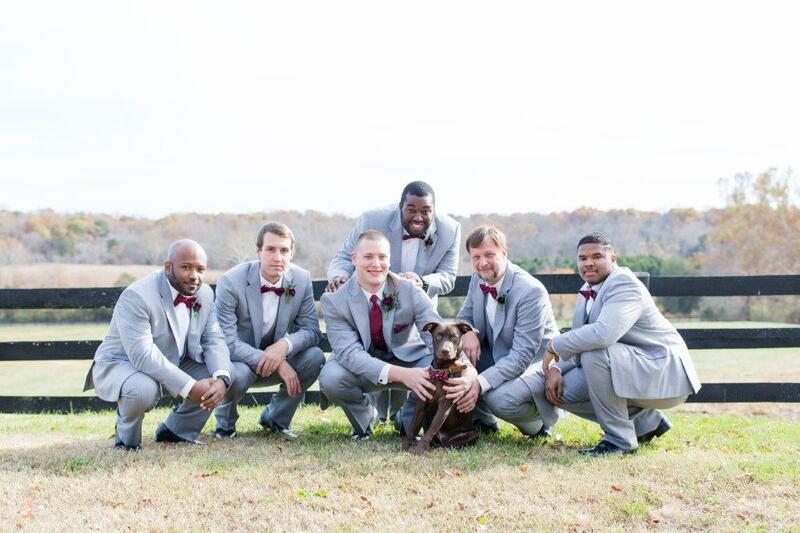 The groom’s party plus the couple’s chocolate lab, Dutch. 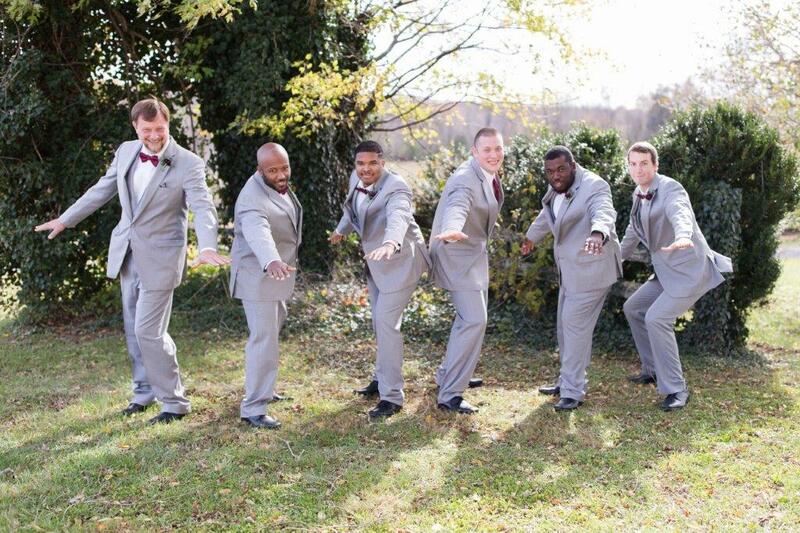 Great pre-wedding shots of the groom and his grooms men. 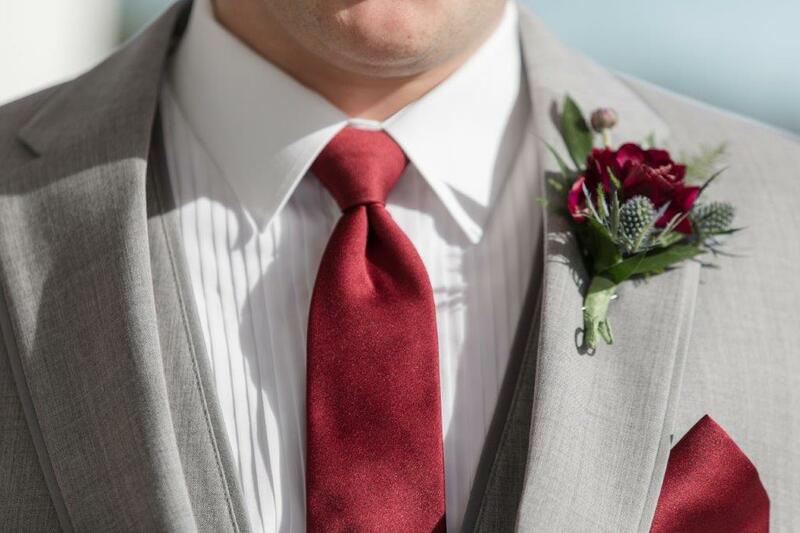 Check back next week as we feature the ceremony and ceremony decor.